Weight : Is 'Slow and Steady' Weight Loss Really the Best Approach? WEDNESDAY, Oct. 15, 2014 (HealthDay News) -- An Australian study throws doubt on the notion that a more gradual approach to weight loss is always the most effective route to take. The study also found that whether you opt for a "crash" diet or something a bit slower, the rate at which you shed excess pounds has no bearing on whether or not those pounds will come back. The findings are published Oct. 15 in The Lancet Diabetes & Endocrinology. "Across the world, guidelines recommend gradual weight loss for the treatment of obesity, reflecting the widely held belief that fast weight loss is more quickly regained," study lead author Katrina Purcell, a dietician at the University of Melbourne in Australia, said in a journal news release. Current guidelines recommend slow and steady weight loss in the belief that it is more likely than rapid weight loss to help people keep their weight under control. This study included 200 obese adults randomly assigned to either a 36-week gradual weight-loss program in which they consumed 500 fewer calories per day, or a 12-week rapid weight-loss regimen that featured a very-low-calorie diet of 450 to 800 calories a day. Overall, 81 percent of those in the rapid weight-loss group and 50 percent of those in the gradual weight-loss group lost more than 12.5 percent of their body weight. 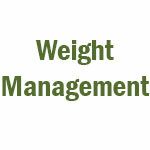 After that drop in weight, the participants were placed on a weight "maintenance" diet for three years. There are a number of possible reasons for the study findings, the researchers said. The limited carbohydrate intake of a very-low-calorie diet -- the type used in rapid weight loss -- may cause a greater feeling of being full, and reduce food intake by forcing the body to burn fat. That fat-burning activity causes the body to release breakdown products called ketones, which suppresses hunger, the researchers said. Speedy weight loss may also motivate people to stick with their diet and achieve greater amounts of weight loss, they added. The study "indicates that for weight loss, a slow and steady approach does not win the race, and the myth that rapid weight loss is associated with rapid weight regain is no more true than Aesop's fable," Corby Martin and Kishore Gadde, from Pennington Biomedical Research Center in Baton Rouge, La., wrote in an accompanying commentary. "Clinicians should bear in mind that different weight-loss approaches might be suitable for different patients . . . and that efforts to curb the speed of initial weight loss might hinder their ultimate weight-loss success," Martin and Gadde said. Christopher Ochner is assistant professor of pediatrics and psychiatry at the Icahn School of Medicine at Mount Sinai in New York City. He called the study "well-conducted" with "sound results," but said it might not take human psychology into account. "Recommendations for gradual weight loss are not based on the supposition that the rate of weight loss affects the proportion of weight regain [post-diet], but the supposition that rate of weight loss will affect the length of time before typical 'diet fatigue' sets in," he said. "This is when people typically stop dieting and revert back to their former eating habits, which causes weight regain," Ochner said. "Ultimately, the answer lies not in a particular type of diet, but in making lifelong healthy adjustments to eating habits," he said. However, another expert said the study might support faster approaches to weight loss for some people. Dr. Caroline Messer, an endocrinologist at Lenox Hill Hospital in New York City, believes that "based on these findings, clinicians should consider a rapid weight-loss program as a possible strategy for some patients."